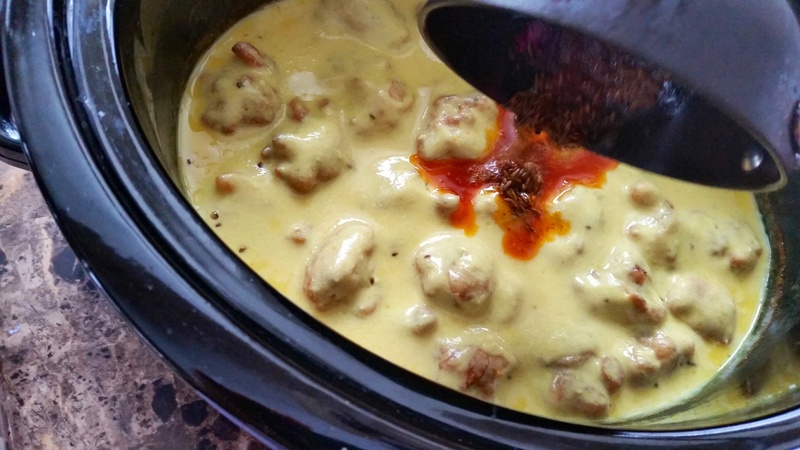 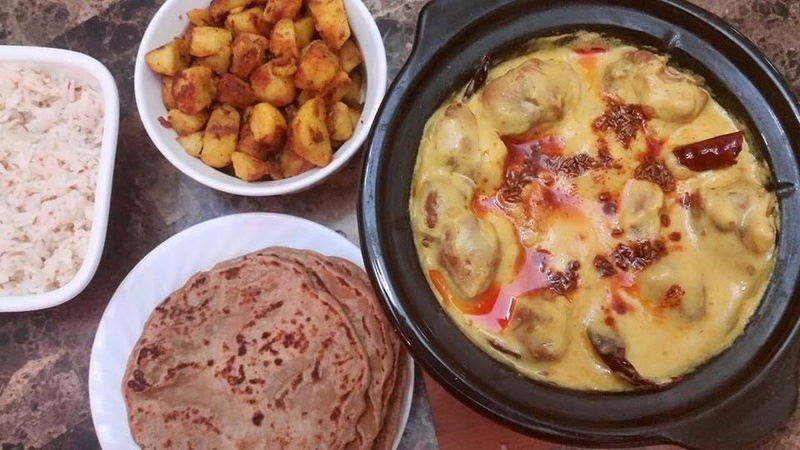 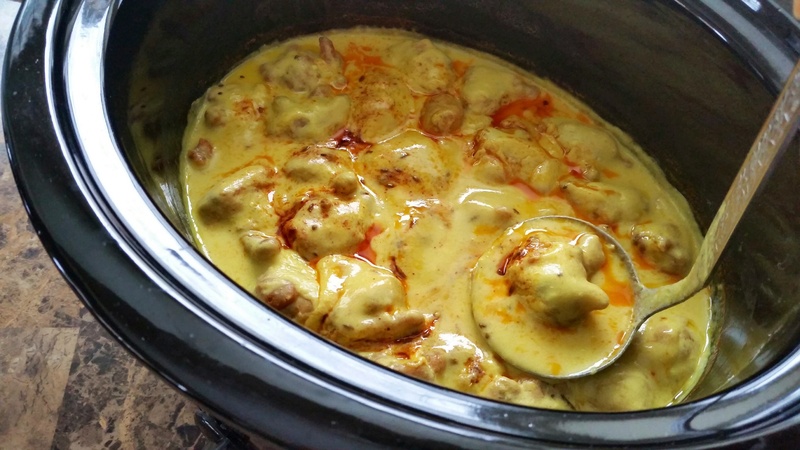 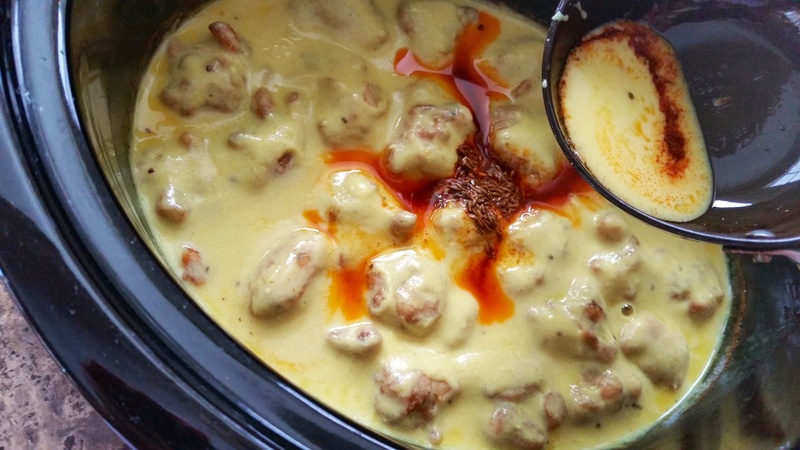 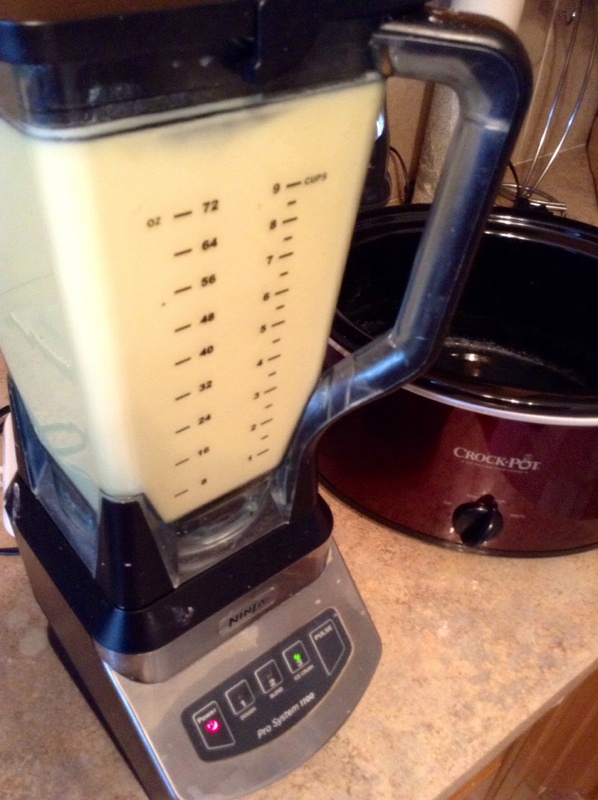 Presenting Easy-peasy CROKPOT/SLOW COOKER KADHI! 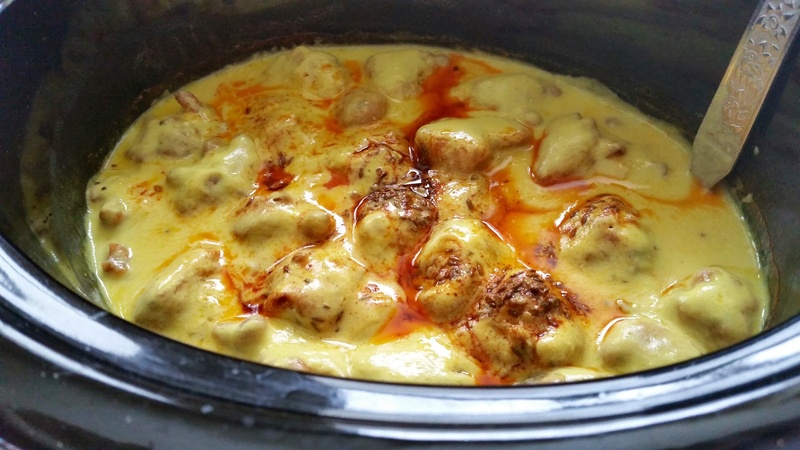 The simplest no-fail way to cook delicious kadhi with the minimum possible fuss…you’ve just got to give this a try! 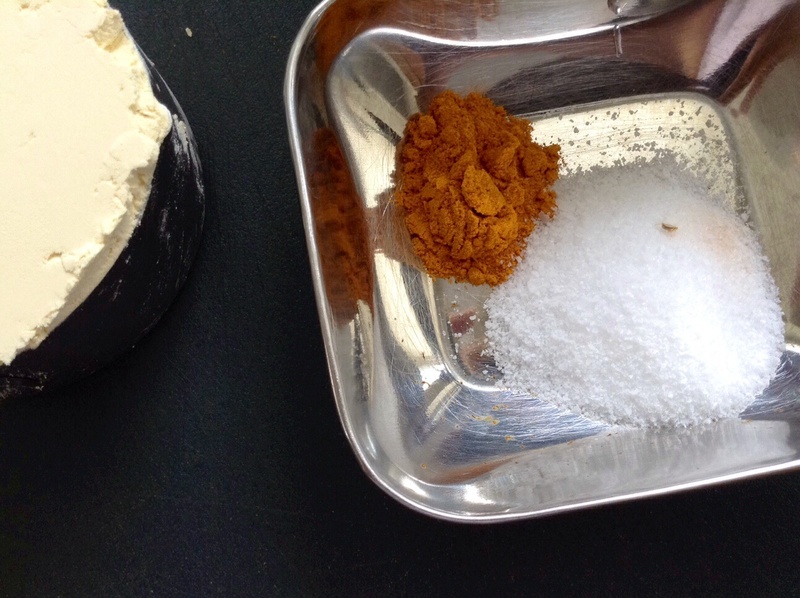 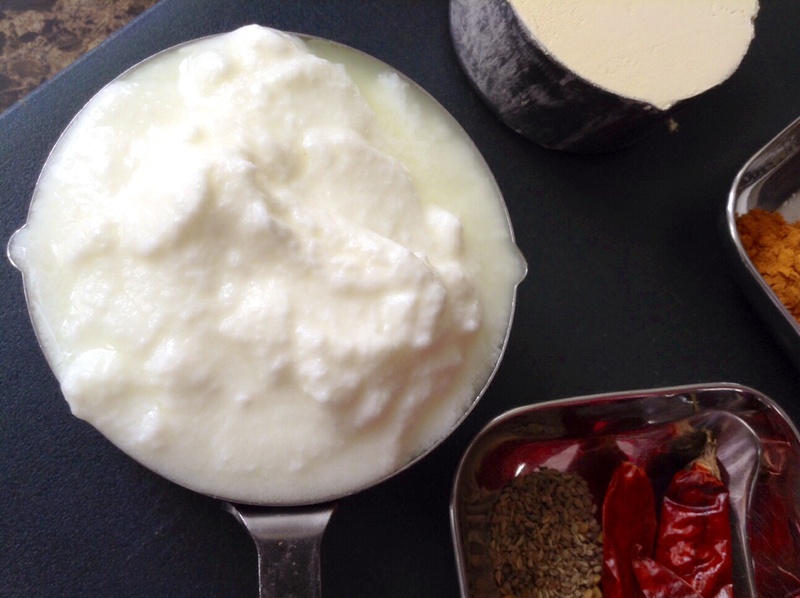 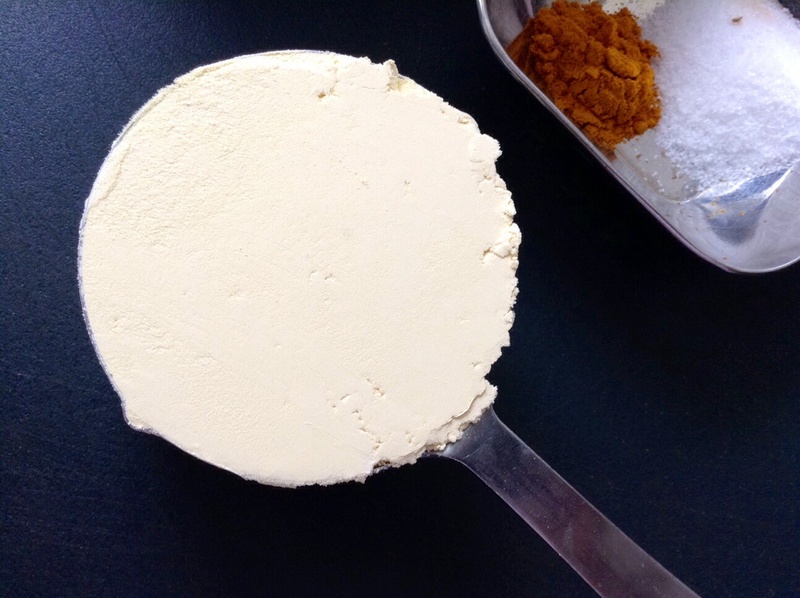 Blend besan, dahi and water, salt & haldi in a blender till smooth. 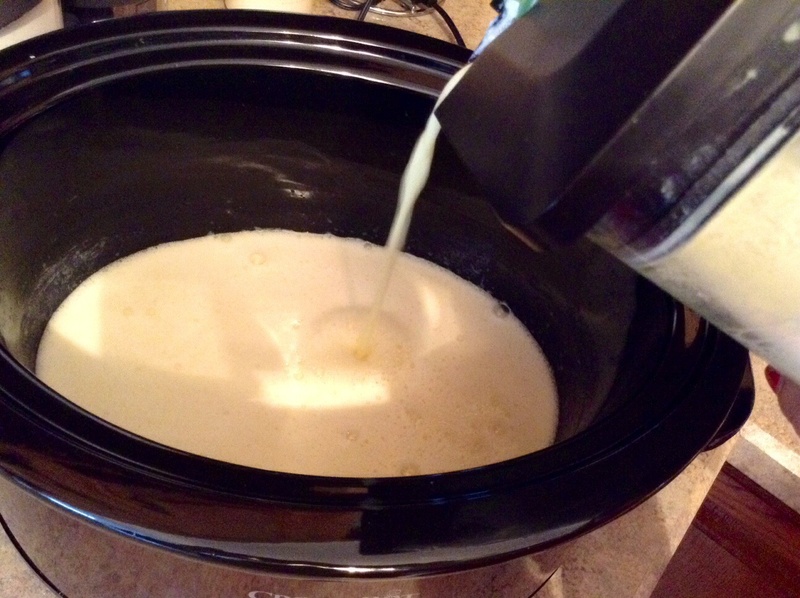 Pour the mix into the crackpot. 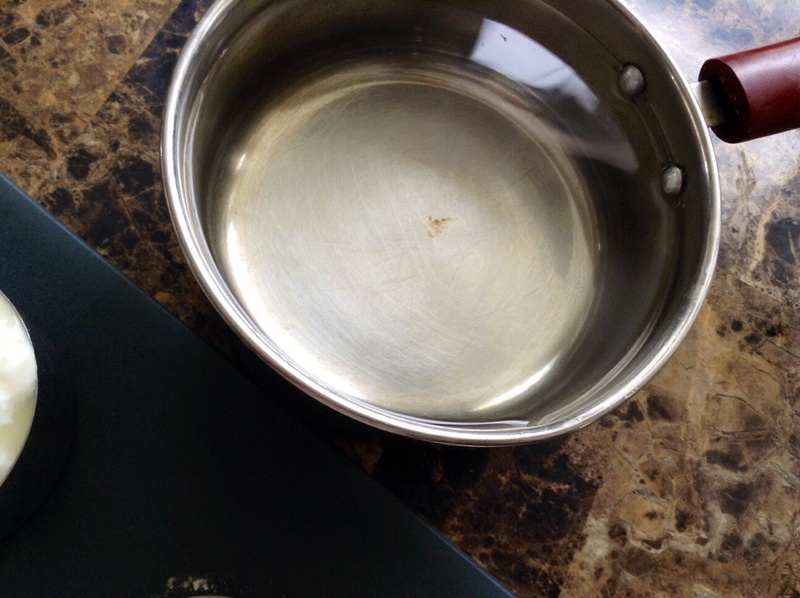 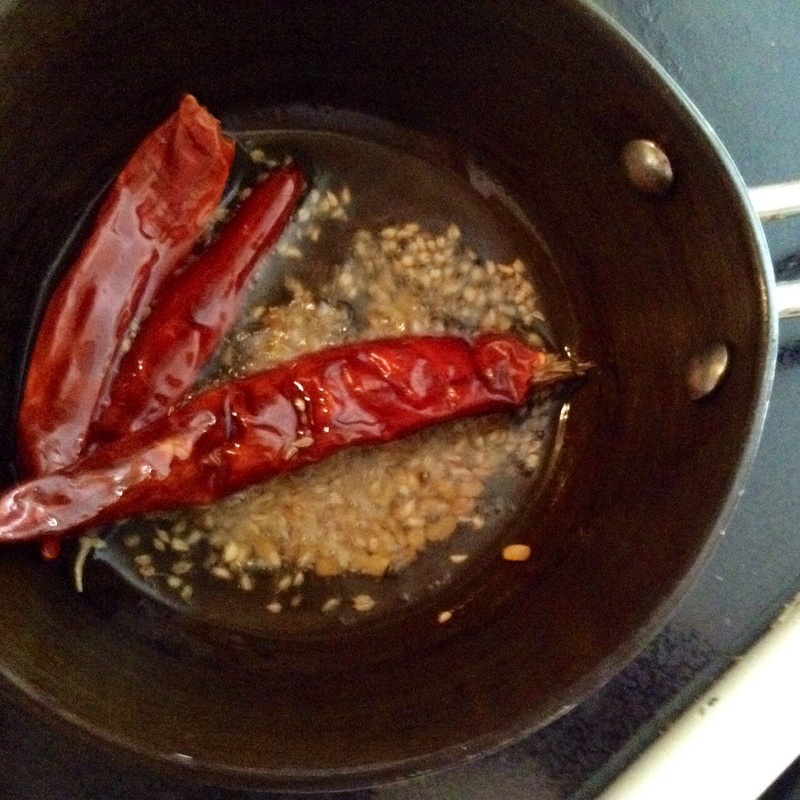 Prepare chaunk, by heating a tsp of ghee. 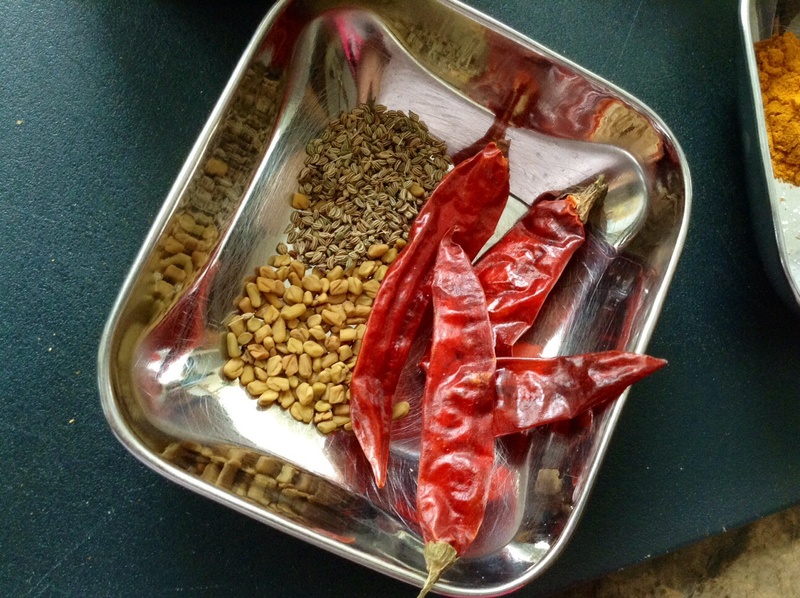 Add methi seeds, followed by ajwain seeds and dry red chillies. 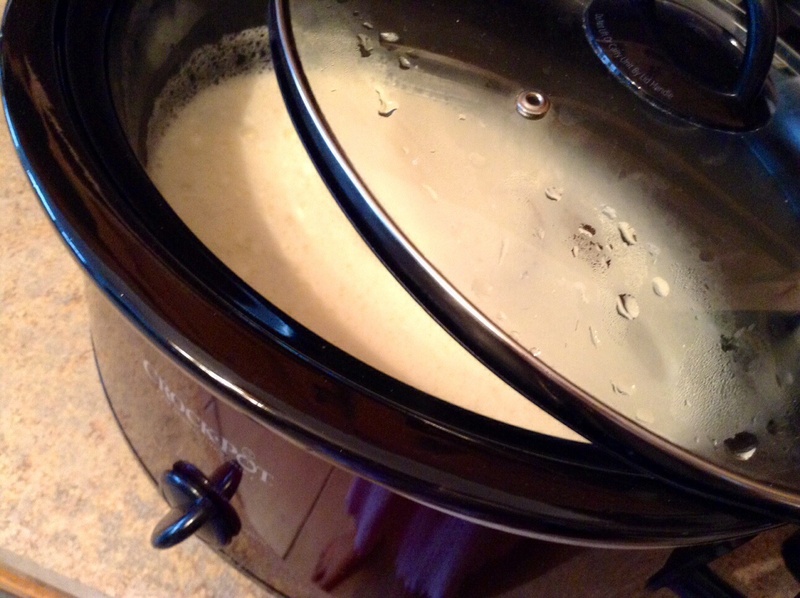 Add this chaunk to the crockpot. 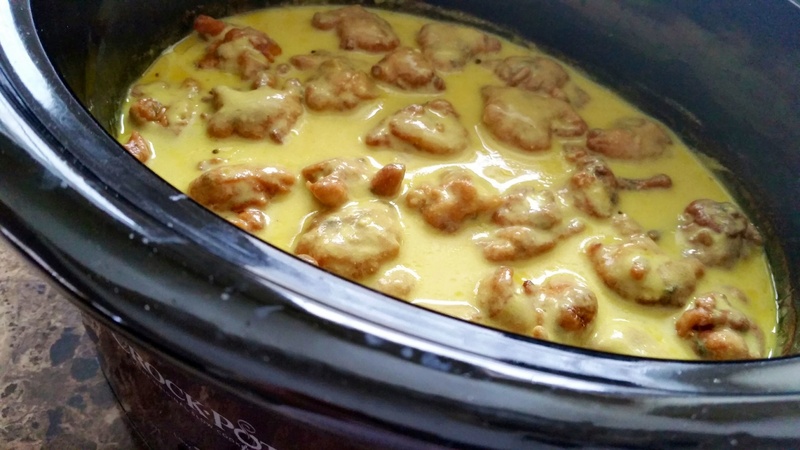 Close crockpot and cook on high for 3-4 hours. 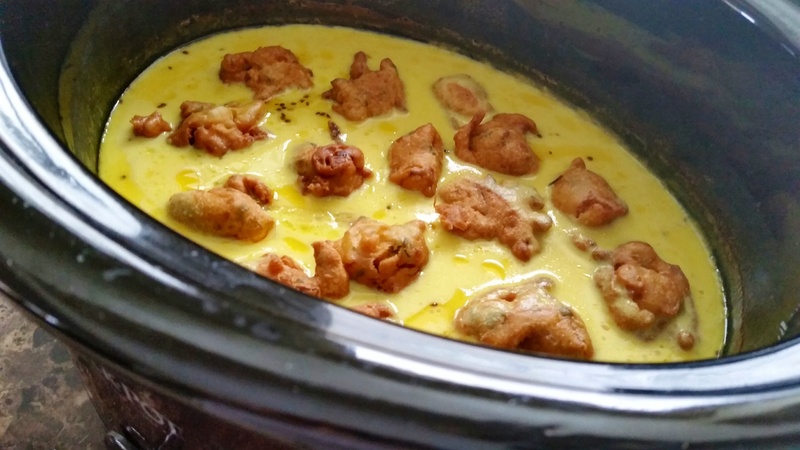 Add the pyaz pakoris into the kadhi. 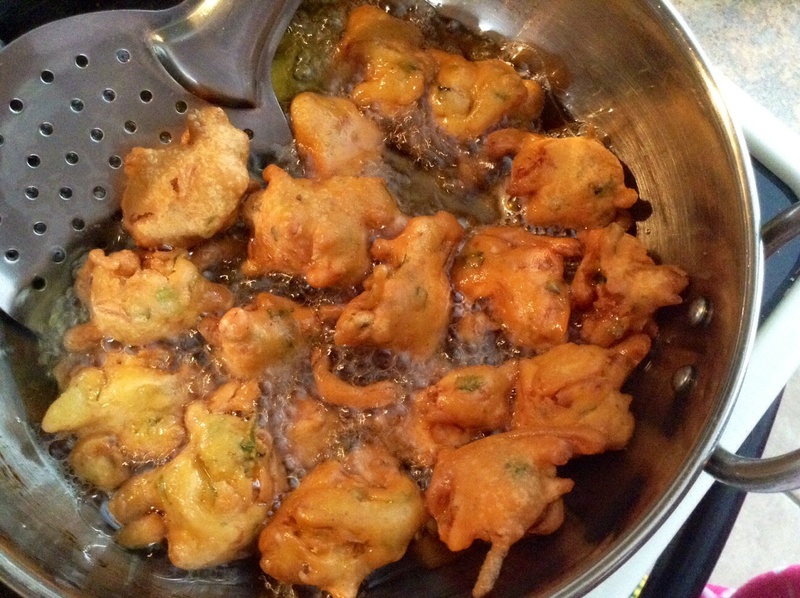 If you like you can also add crunchy boondi instead of the pakoris. 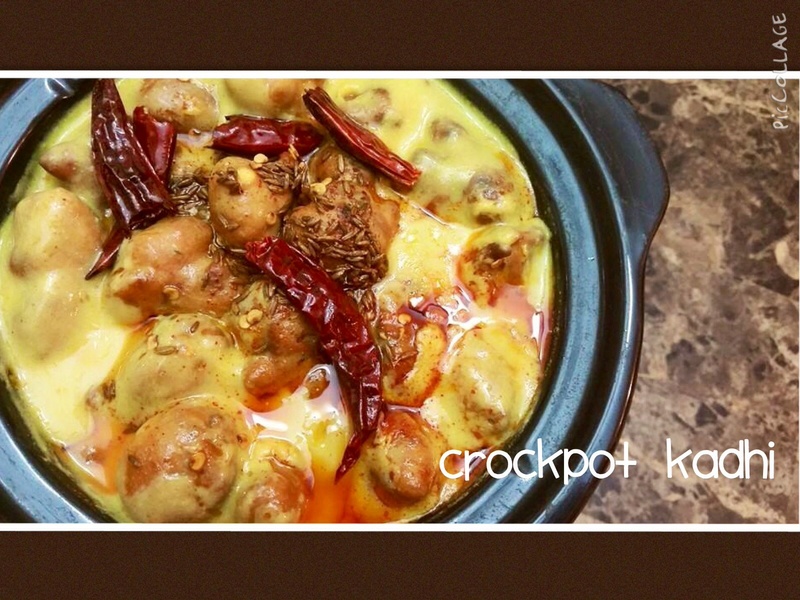 the kadhi will become considerably thicker. 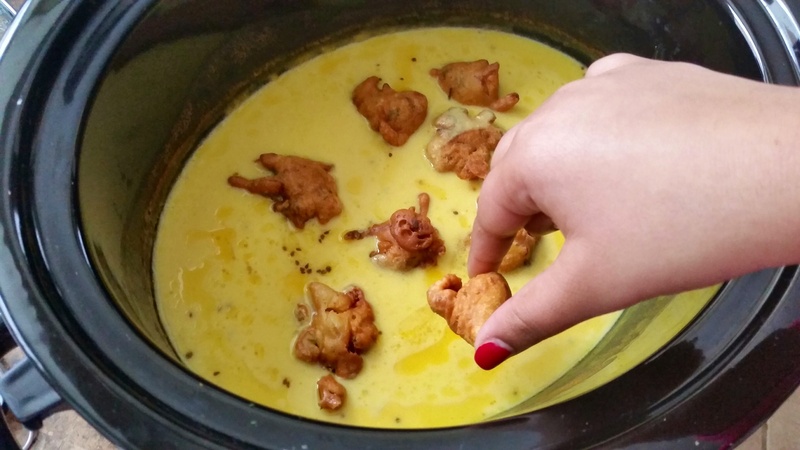 and also dunk the tadki (in which tadka is made into the kadhi). 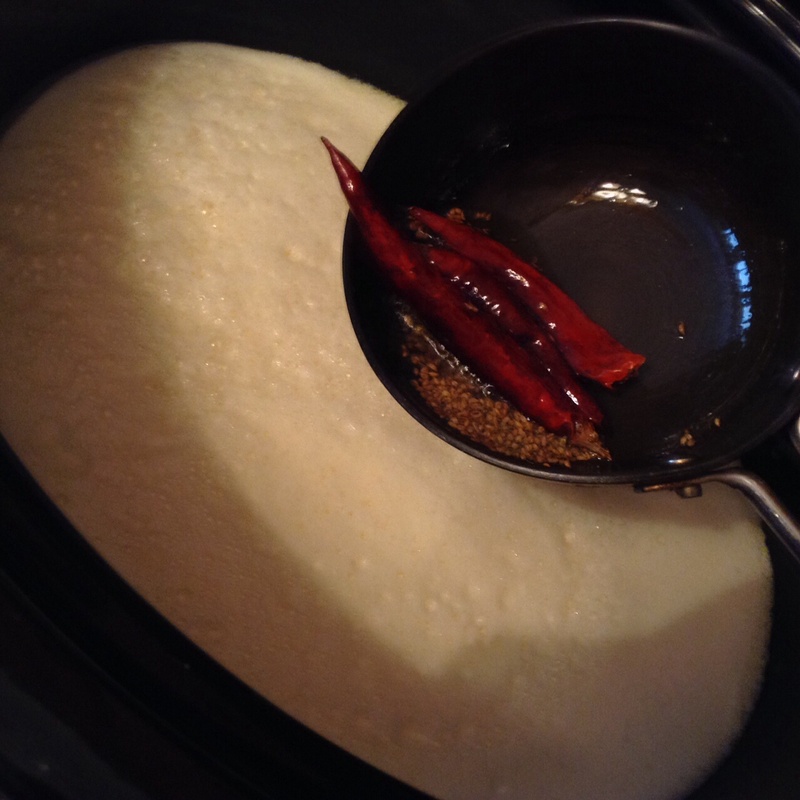 Serve hot with rice/roti and jeera alu…yum yum! 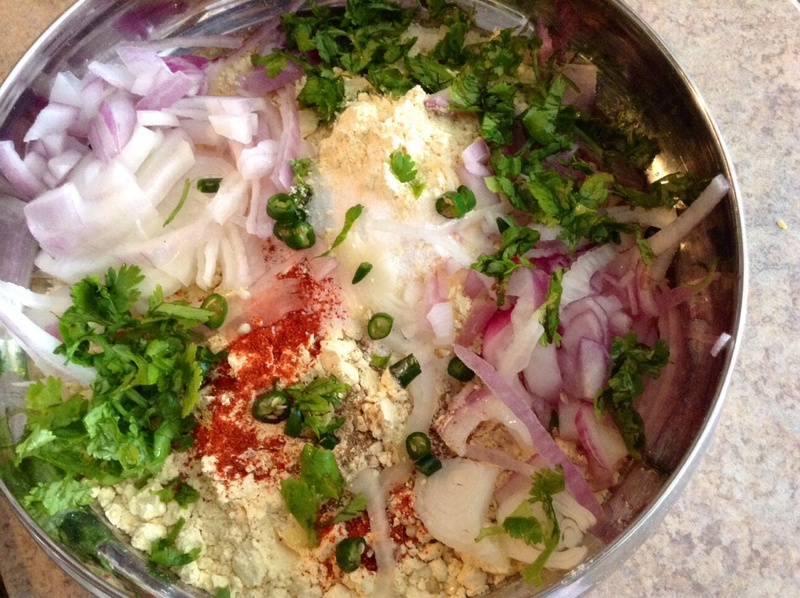 Make a mix of 1 sliced onion, 3/4 cup besan, salt, red chili pwdr, green chillies and dhania. 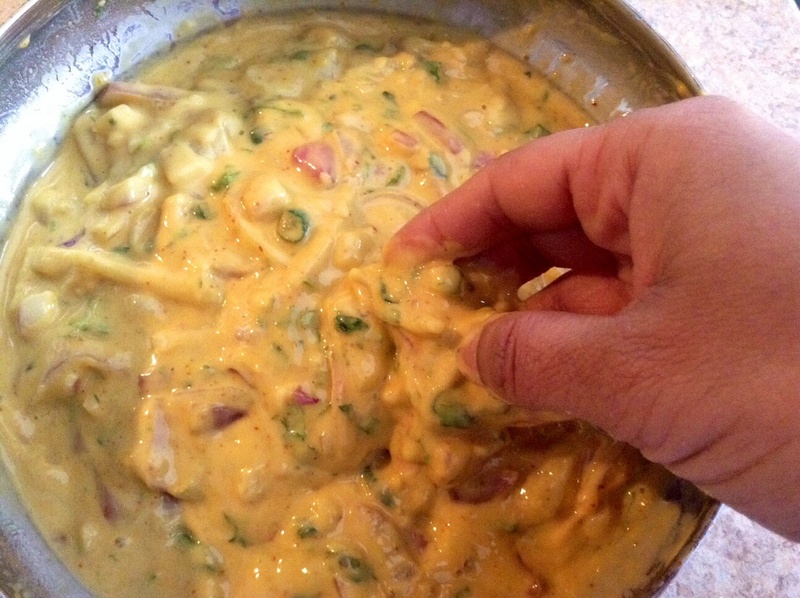 Add 1/4 tsp baking pwdr and whip the mix nicely. 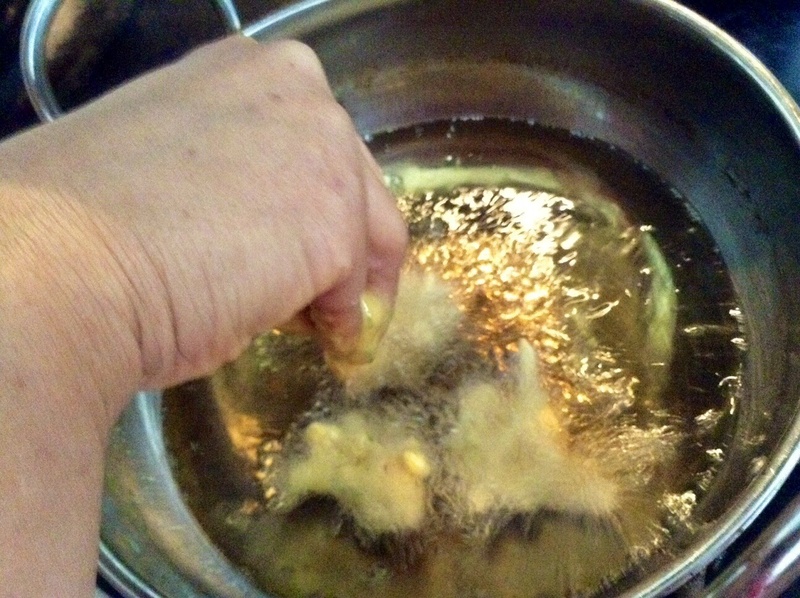 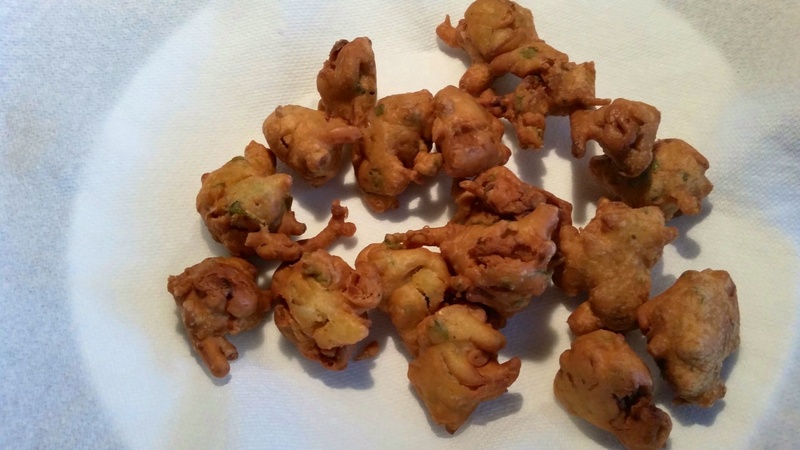 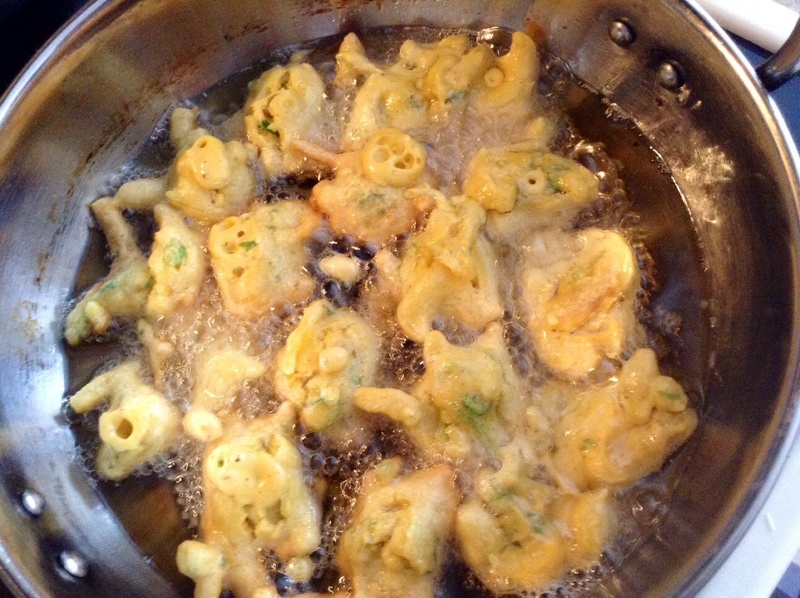 Drop small pakoris into hot oil.